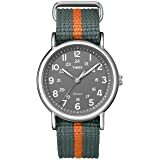 i This watch is also available with a manufacturer warranty from Amazon.com, another seller. Sold by Flying Fashion and Fulfilled by Amazon. Gift-wrap available. Built for the pure enjoyment of the sport, the analog Timex Yacht Racer is as functional as it is beautiful. The unique bi-direction center hand provides a countdown to start and a date you'll never have to set. Fourth center hand indicates the pre-programmed date that you'll never have to set. Provides countdown time to the start of the race, and then counts up time to the finish. Features steel case with shaped resin pushers, rich multi-layered dial, and uniquely designed crown. 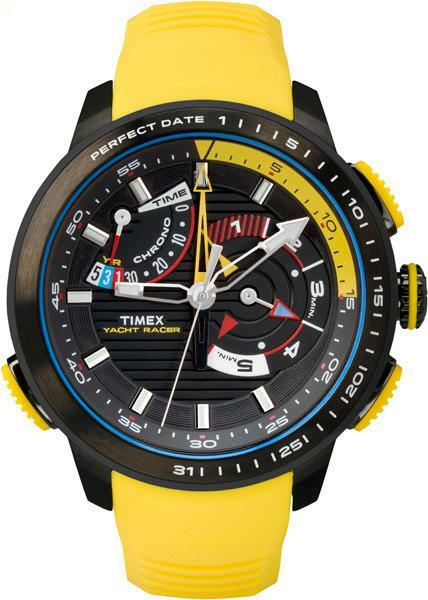 Built for the pure enjoyment of the sport, the analog Timex Yacht Racer is as functional as it is beautiful. The unique bi-direction center hand provides a countdown to start and a perfect date you'll never have to set. 5.0 out of 5 starsYacht Racing Mode - Love it! I got this as my birthday gift. This watch is absolutely beautiful and much better than I've imagined. It is a big watch with a 47mm case; but even when it's that big it is extremely comfortable. 2 really good features that I love about this watch. The perfect date feature, once set it does not have to be adjusted until 2060. 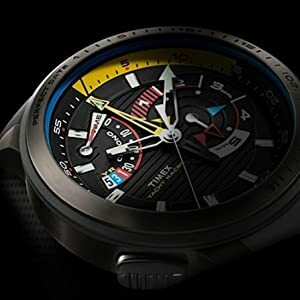 The second feature and the reason I bought this watch is the Yacht Racing Mode; which has 3 countdowns 5min, 3min or 1min. Once the countdown finishes, it starts the chronometer automatically and can measure up to 1 hour. The hour and the minute hands have a luminous hands. 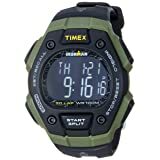 The only missing thing that I would expect of any Timex is the Indiglo feature. Overall very satisfied with my purchase and it is highly recommended. Update 4/19/16: After 4 months of using this watch I still think this is a great time piece. It does not feel like a Timex at all. 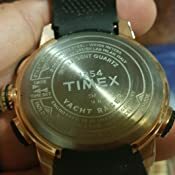 The built and quality has surpassed my own expectations coming from a Timex watch. My favorite feature is the 5 minute countdown. The perfect date complication has also not skip a beat and working as intended without adjustment. Another nice enhancement previously not noticed is the crown has the TX embossed usually found in higher priced pieces. 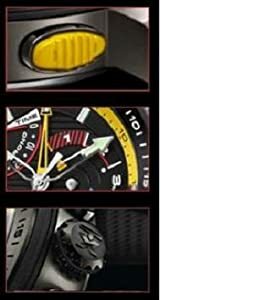 The back case is also has good information about the complications and model / name. Uploaded much better pictures to really appreciate its beauty.  Only area of improvement for Timex; add the Indiglo feature or make the hour markers and hands with better luminosity. Last picture shows only the hour and minute hand has luminosity but makes it a bit complicated to read the time without any other reference. The marker price for this watch has come down and stays around $100. 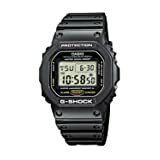 For that price this watch is a true Gem and a bargain. I recently started checking and testing the accuracy of this piece. 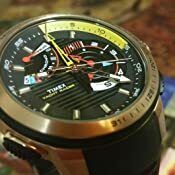 I am very surprised to say that both my Timex watches Timex Intelligent Quartz 3-GMT Watch keep almost perfect sync'd with the atomic clock. Deviation of only .01 per day. 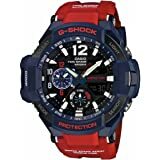 I got the pro version with indiglo, and for the money this is a nice watch, with a few flaws that make it a less than perfect regatta timer. I like the idea of an analog regatta timer, so was attracted to this watch right away. I didn't buy the first versions because I thought the faces were too busy, and no indiglo, but the new Orange faced pro (not a political comment) looked much better, so I took the bait. Since I plan to use the watch in regattas, the race timing functionality is the most important thing to me. On this count, the watch does pretty well with one significant flaw. It's good that you can select starts at either 5, 3, or 1 minutes. Would be better if it also had a 10 minute start, but I can live with 5. Where a lot of analog automatic regatta timers rely on subdials for seconds, the Timex rightly uses a large second sweep hand running in reverse for the countdown, which is critical since it's the final seconds that really count. Would be better in this model if the second hand was yellow or a different color from the other hands, but it's reasonably easy to see. The major flaw in the timer is that there is no catch up function. Most digital regatta timers allow a one button catch-up to the next minute when you miss the horn. With this Timex, you have to stop the count, reset to the original start, and then change to either 3 or 1. 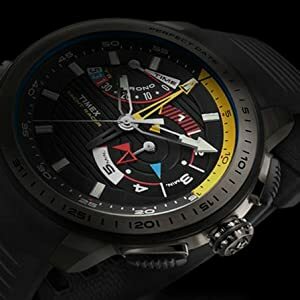 I like the rest of the watch enough that I'll try it out in some races and see if I can live with this, but it seems like something any sailor could have told them was a basic requirement. Guess I'll just have to make sure I start the timer right on the horn every time. As to the rest of the watch, it's a nice package. Solid steel case looks and feels well made, the buttons are smooth and easily reached with gloves, the face, while still a bit busy, is easy to read in the orange version, and the perfect date function is pretty cool to use. The other versions of the watch with the multi-colored faces looked like they would be hard to read in the frenzy of a race start, but the orange pro is quite easy despite the dials being a bit jumbled together. All in all a pretty nice watch, and not a bad deal for the money. 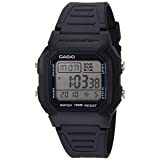 If Timex would add a 10 minute start, and more importantly, a one button push catch up function, it would make for a really nice analog timer for those that don't like digital countdowns. 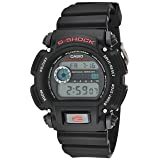 I was looking to add a Seiko orange-face diver's watch to my burgeoning collection but saw this puppy instead. I really like it, esp. its looks --love, love, love the orange UNDER the strap-- but the looks is also the reason to subtract a star: it's slightly too complicated to look at a glance, you have to stare for a bit. I think the hour and minute needles need to be a touch thicker, but still... this watch is a looker. Met expectations. Very pretty watch; wear with jacket & tie. 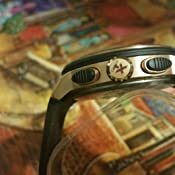 I modified the wrist band with a double stiched leather band. Just love the mechanical chronographer. I have been wearing this watch everyday since receiving it five and a half weeks ago. Three times in the last two weeks I have looked at the watch and discovered it is 15 - 20 minutes slow. Coincidentally in each case, it was also set for timer mode, without my having set it to timer mode. I have found that the date button can sometimes be pushed inadvertently when my wrist is bent back 90 degrees, but there is no way for the timer button to be pushed accidentally in that manner. Unfortunately, I am 10 days past the return date. 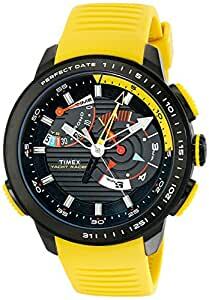 I was in the market for an orange watch and for the price this is the best value for your dollar for the quality and style. To reset to time mode you need to press the two right buttons simultaneously. Once you figure that out, it's smoothe sailing. Watch looks great and feels great to wear. I like heavy watches. It's a bit difficult to understand the features from the manual but there are nice YouTube videos to be found. I've had some "mystery" movements at times and I am uncertain if that is due to a malfunction or a lack of understanding on my part.